Home > Blog > Ordering Questions > Insurance and RX Coupons: What’s Covered, What’s Not? Can RX coupons really help you save money on your prescription drug costs? And will you be able to combine RX coupons with your US-based medical insurance to purchase your prescriptions and medication refills from an online Canadian pharmacy? 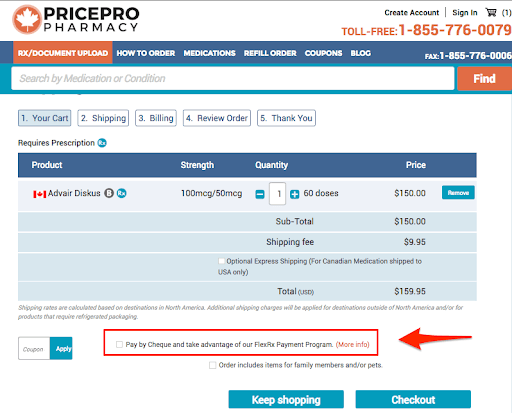 Can You Use Your US-Based Insurance to Cover the Costs of Prescriptions in Canada? While your doctor’s prescription is the same whether you’re filling it in the states or in Canada, the case is different when it comes to your insurance. US-based and other international healthcare plans are not accepted in Canada, which means you are responsible for the total cost of your prescription at check out (unless you’re using our Flex RX plan). However, you may be eligible for reimbursement depending on your insurance plan’s terms. This is why we always include a detailed receipt with every order, which can then be submitted to your healthcare provider to see if they’ll pick up the difference. To find out if your insurance plan covers medication reimbursement, you’ll need to contact your specific provider and discuss your plan’s fine print. Don’t get too discouraged if you find out your insurance plan won’t cover the costs of your prescriptions if you fill them in Canada. Many prescription medications are drastically cheaper — in some cases up to 80% off — across the northern border. And that means you may be able to save money on your prescriptions without your insurance company’s help. As we talked about in this guide, the costs associated with prescriptions in the United States only continues to grow without any signs of stopping. But that’s not the case in Canada. Thanks to universal healthcare in Canada, prescriptions and other healthcare related expenses are kept at a reasonable and affordable rate. And these reduced prices on prescriptions aren’t just for Canadian citizens either. As a US citizen, you can purchase your prescription medications for your own use in Canada. So while the same EpiPen may cost you over $600 in the US — and after insurance pays their portion — you’ll only pay around $100 using a Canadian pharmacy. And this is just the out-of-pocket cost due at checkout. If your insurance covers medication reimbursement, your cost could be even lower. This is why so many Americans are turning to Canada drugs when it’s time to refill their prescriptions instead of using their local pharmacy in the neighborhood. With online Canadian pharmacies, you’ll find the same name-brand medications and generic prescriptions you’ll find at home, just for up to 80% off. Again, this huge cost difference is without using insurance. Another option to offset your out-of-pocket expenses that may not be reimbursed by your insurance provider is to search for and use RX coupons. If you’re a first-time buyer, you can take advantage of eligible RX coupons to help you lower the cost of your medications further. This one-time discount is applied right at checkout once the coupon code is entered. So if your first-time order meets the minimum requirement of $50.00, you can save even more money by using one of our coupons for our 17 top-selling medications. Can You Pair RX Coupons with Your Insurance Coverage? RX coupons are applied to your order at checkout. Since Canadian pharmacies don’t accept US-based or international healthcare insurance plans, you cannot use your coverage to pay for any part of your prescription costs during the online purchase. However, certain insurance companies may provide reimbursement for your medications when you order them from an online Canadian pharmacy. Your RX coupon will be instantly applied to your order at checkout to lower your total amount. Once your prescription is paid for, you can then submit the total amount from your receipt to your insurance provider to see if they’ll cover it. Since it comes off the total before your insurance pays (again, if they do), you can technically combine your RX coupon with your insurance plan’s reimbursement to pay even less for prescriptions than you are now. In some cases, the coupon may also help you meet the reimbursement requirements so you can get complete coverage. The RX coupons are applied to your order regardless of whether your insurance picks up all, part, or none of the tab. Here at PricePro Pharmacy, we believe everyone has the right to access affordable prescription drugs. And while our prices are usually the lowest out there, you may come across one that’s even more affordable. 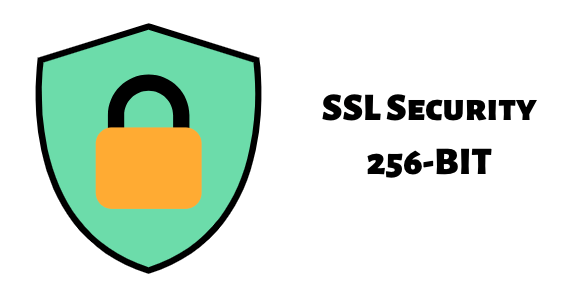 If that’s the case, and the price quote adheres to the following standards, we’ll price match it to ensure you get the lowest possible rate without sacrificing on quality or safety. 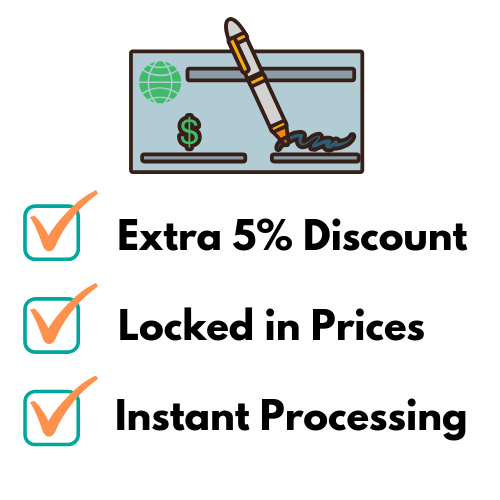 If your price meets that criteria, we’ll help you save even more money on your prescription medications. And if you find that your out-of-pocket cost is still higher than you can afford right now, especially since you may be ordering a 3-month supply at once, you may be eligible to use our Flex RX Payment Plan. We created our Flex RX plan to help spread out the costs of placing your refill orders for prescription medications. 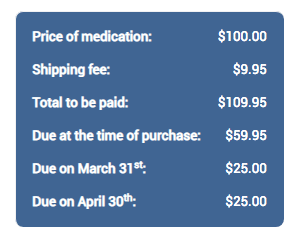 Half the cost of the medication, along with the flat rate shipping charge of $9.95 USD, is due upon ordering. The other half of your payment is split over two monthly payments. So your next payment, or the second one, is not due until 30 days after your initial purchase. The third payment is due 60 days after your purchase. As you can see, the price of the EpiPen ($100) and the flat rate shipping charge ($9.95) equals $109.95. 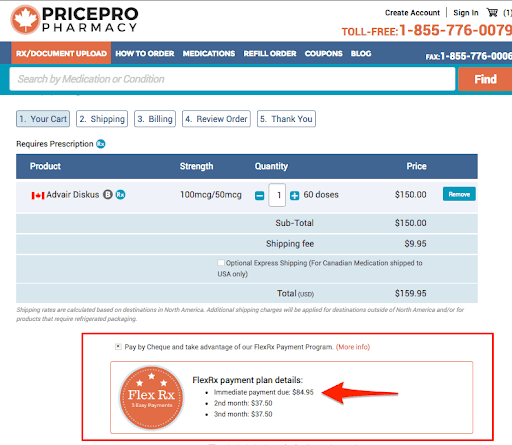 However, if you choose our Flex RX plan, you’ll only need to pay half the cost of your prescription ($50) plus the shipping charge ($9.95) to total just $59.95 at the time of checkout. To cover the outstanding balance of $50, you’ll have one payment of $25 due in 30 days and another payment of $25 due 30 days from that. Plus, there are no interest or service charges with this flexible payment option so you won’t pay a penny more to use this service as long as you make on-time payments. Late or missed payments are subject to a 17.9% compounded interest rate so it is important to keep your due dates in mind. And remember not all medications are eligible for this payment option either. To see if yours is eligible for a Flex RX plan, visit this page which lists all of the Canada drugs available to US citizens. 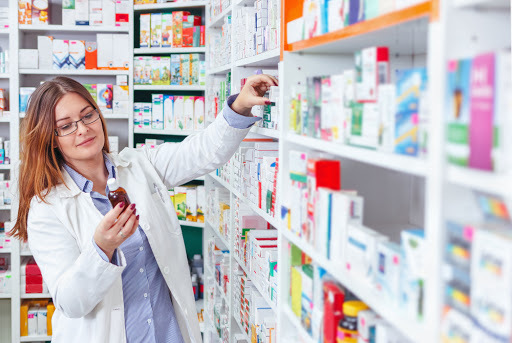 Combine all these options and it’s easy to see why so many Americans are finding ways to cut their costs of refilling their medications with Canadian pharmacies. By ordering your refills for prescription medications using an online Canadian pharmacy, you may be able to slash your out-of-pocket expenses by as much as 80% in some cases. So even if your insurance doesn’t cover medication reimbursements, you’ll still save significantly more than using your insurance coverage to purchase your prescriptions from a pharmacy in the states. And if you are covered for reimbursements, you may not pay much at all for the same name-brand or generic prescriptions you know and are used to taking. Plus, with RX coupons and Flex RX payment plans, you can reduce how much you’ll pay out-of-pocket when placing your orders — especially on your very first one. This saves you money in the long run and ensures your 3-month supply isn’t too much of a financial hit in the short term either. 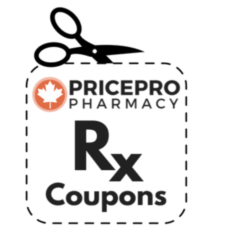 So if you’re ready to start saving money on your medications, check out our list of RX coupons now.